As noted before, from time to time I answer questions and exchange ideas with folks from hospitals, companies and with students. It's a karma thing with me - if I can help out with reasonable effort in situations where there's no immediate consulting opportunity (although there may in the future), and it's interesting, then I do what I can. The following is the most recent exchange from a conversation I've been having with a product manager at a HIT software vendor about MDDS. They develop and sell an information system, part of which consumes medical device data. Not every customer already has an MDDS, and those that don't look to their company to provide one as part of a "complete solution." I have been researching 3 companies for vitals integration: iSirona, Capsule Tech, and Nuvon. From my research, it seems that having FDA clearance for MDDS seems to assure that the product will work out of the box and it's tested for safety and effectiveness and seems to be a better choice to have than an MDDS (reliability, safety for patients). Capsule has more years of experience, greater variety of deployment options, and offers DICOM integration (which is a plus for us since some of our facilities are looking for this) . They also have the largest device driver library. We currently have a few customers interested in vitals/anesthesia/medical imaging integration . We also foresee more of our facilities, including our surgical hospitals, wanting this technology in near future. Nuvon is the smaller company, but they seem to have a great product and good solutions as well. They don't offer DICOM, but perhaps in future they would. iSirona is a well known brand. They have marketed themselves well! It seems that iSirona will have DICOM integration in the future based on an article that was written 11/12. They also have new investors. So, just wondering what your thoughts are? Most of our customers are price sensitive when it comes to products. I want to keep this in mind as well. Price points thus far all seem to be similar and depends on what type of partnership you have with company and what the needs of the facilities are in re: hardware, etc. All 3 companies have something to offer. Are there any pros or cons that you know of in working with any of these 3? Sorry to bother you! I have my spreadsheet already for each company, but wanting to see if there is anything more to consider. Would you know of anyone in healthcare field/IT who have worked with 2 or 3 of these products and would be willing to chat with me? I would love to contact them and hear their input. Thank you so much! Those are three of the top vendors for the clinical documentation of medical device data into EMRs, although I am currently tracking just over 20 MDDS vendors. However, to quibble a point about FDA regulation. MDDS products are Class I devices and are not actually reviewed and cleared by FDA. For Class I devices the manufacturer simply notifies FDA when they start selling them. The impact of being regulated means that regulated manufacturers follow a basic quality system when designing, manufacturing, installing and servicing their medical devices. Whether regulated or not, hospitals expect the products they buy to work out of the box and be safe and effective. For the medical device end user buyer, FDA regulation does not have a lot of impact, as all manufacturers of clearly regulated medical devices (like a patient monitor or an MDDS) are regulated. Some product categories provide manufacturers leeway to be regulated when they don't have to. On rare occasions, a medical device manufacturer (who's already regulated) will chose to submit a product that's not commonly considered a medical device to FDA for regulation. The FDA does not turn away any customers who want to be regulated. These manufacturers typically believe buyers will prefer an FDA regulated device over one that is not regulated, and that FDA regulation will create a regulatory barrier to entry for other vendors. History has shown that buyers rarely consider whether or if a product is FDA regulated, and thus fails to be a meaningful competitive advantage. The second goal, creating a barrier to entry, is a bit of a non issue in that if the product is only regulated by choice on the part of the manufacturer, rather than mandated by FDA, competitors don't need to be regulated - and most often chose not to be regulated. The ability to move around and display diagnostic images outside the confines of a conventional PACS is a growing requirement. Until this capability becomes more widely supported in MDDS, it may be possible to accomplish the same thing with the Mirth integration engine, which supports DICOM. An image management system used for diagnostic purposes is a regulated medical device. This means any claims that images displayed in your system can be used to make diagnostic decisions makes your system a medical device. An example of a medical device claim would be to show a surgeon diagnostic images in the OR for them to use in guiding their surgery. While storing and displaying reference images to review with a patient or referring physician (i.e., situations where a diagnosis is not being rendered) are examples of non medical device claims. Use cases where your use of diagnostic images would render your system a medical device can be avoided by insisting the customer buy those capabilities from the diagnostic imaging or PACS vendor. Performance and architecture: Performance parameters include things like the frequency in which data can be acquired from medical devices (e.g., acquiring continuous patient monitor data every second rather than every 3 or 15 minutes, or being able to acquire full fidelity waveforms). Depending on your connectivity application, a greater frequency is generally better. The next is a combination of processing speed, latency and quality of service. The ability to manage the data (caching acquired data when target systems are off-line, changing units of measure and labels) is another key criteria I'd throw under performance. Compatibility with the medical devices the buyer wants integrated: Established MDDS vendors have built up a substantial library of device drivers that parse the serial port data from specific medical devices. To overcome this advantage, new market entrants have developed core competencies in quickly creating new device drivers demanded by customers. The key criteria is whether the MDDS vendor can have device drivers for your medical devices when you need them - whether they come off the shelf of are created is really immaterial. Cost: Many MDDS solutions sold are enterprise deployments costing well over $1 million. At this level, MDDS pricing is pretty competitive across vendors. Differences come into play with system architectures, e.g., Capsule's Neuron device contrasts with iSirona's "software only" architecture which contrasts with Nuvon's distributed architecture. It is possible to tweak individual vendor's solutions to wring out some costs, but due to architecture differences it is hard to apply such tweaks across multiple vendors. Scalability is also a variable that impacts cost, especially as you scale a system down to smaller configurations - some vendors can do this better than others. Scalability: As noted above, scalability often results in pricing differences. For example, Nuvon's distributed architecture allows them to scale down to very small systems at a relatively low cost. You will need to apply your expected configuration requirements to each vendor to see how they handle scalability and how it impacts costs. Product development support: For an MDDS you resell or recommend, it is ideal to have the integration already done prior to the first sale. While this is not a big technical hurdle, it does require some effort. The willingness of your MDDS partner to support your integration efforts, how prepared they are do provide that support (i.e., have they done it before, and how many times) are key. And of course don't forget sustaining engineering - which can sometimes be a big hidden cost in these types of relationships. Define the sustaining engineering requirements (i.e., what triggers a sustaining engineering effort) per vendor and how they will facilitate those efforts. Sales and marketing support: Co-branded sales and marketing materials could be a plus here. You'll need support in training your sales force. Selling with the MDDS sales rep and especially technical sales support for your reps are key to winning the business. Coordination of installation, service and support: Like for product development, this area needs to be clearly defined. Service level agreements need to be negotiated. Along with sales and marketing support, sustaining engineering support and post-sale customer support can make or break an supplier/OEM relationship. With the current MDDS market being the way it is, the established MDDS vendors are all scrambling to sell enterprise systems to hospitals to support their EMR deployments. Consequently, most MDDS vendors have little interest in pursuing OEM business. Smaller or newer MDDS vendors may be more interested in OEM business. Should your company become the largest sales channel for a small MDDS startup, you would have considerable influence over product planning, pricing, etc. Of course, that also comes with the inherent risks of working with a smaller, potentially more fragile company. Of the companies you mentioned, I would likely pass on Capsule - they're too busy doing enterprise deals and would likely charge a premium and have limited resources available to support the relationship. Nuvon has the most scalable architecture and could be the most cost effective, especially for small installations. Their configuration costs are higher than the others, but it might be possible to develop a standard implementation configuration for your product and only have to tweak the medical device interfaces - this would greatly reduce their per customer configuration costs. Nuvon also has some unique hardware components (like the one pictured above) that may be advantageous. The downside of Nuvon is their small size and the fact that their sales have not taken off like Capsule's and iSirona's. Whether that business continuity risk can be mitigated or not would be an important factor. iSirona is the Goldilocks choice. Their solid MDDS would be a good choice. Pricing, scalability per your expected configurations, and their ability/willingness to support you in product integration, sales and marketing, implementation service and support will also be key. As the Avis of the MDDS market they are unlikely to drop out of the market. Another MDDS vendor who's done OEM business is Accent on Integration in the Dallas, Texas area. Keep in mind the usual business development considerations. Any of these companies could be acquired at almost any time and this could result in a reevaluation of their OEM business. An outside-the-box solution would be to take Mirth, the open source HL7 integration engine, and deploy it as your MDDS. Mirth supports the ability to write scripts to parse data streams and could be used to interface with medical device serial outputs. As open source, there are no license fees. The software is also supported by Mirth Corporation. You can purchase the software deployed on appliances, and purchase support agreements for the open source software. A potential wrinkle here is whether you would be considered a medical device manufacturer is you use Mirth in this way. Some research and analysis would be required to make that determination. If you were to become regulated, your biggest requirement is to implement the FDA's Quality System regulation (QSR) which is basically equivalent to ISO9001. UPDATE: Someone asked via the contact form on this site to list the MDDS vendors. This is not an all inclusive definitive list as vendors always seem to be emerging, fading away or shifting strategy. A curious twist in this tale is that an MDDS is precluded from providing for real-time use of the data derived from a medical device. This seems to mean that any use of an MDDS to support real-time data presentation, as opposed to data storage, would be an off-label use of the MDDS, or perhaps a modification. The MDDS vendor cannot make claims or provide capabilities in their MDDS product providing the display of waveforms (alarm notification or other patient monitoring functions). However, an MDDS can be a data conduit acquiring data from medical devices and passing it on to another system that provides remote surveillance (i.e., waveform display) alarms, etc. In this case, the system receiving the data displaying the waveforms would be a Class II medical device. 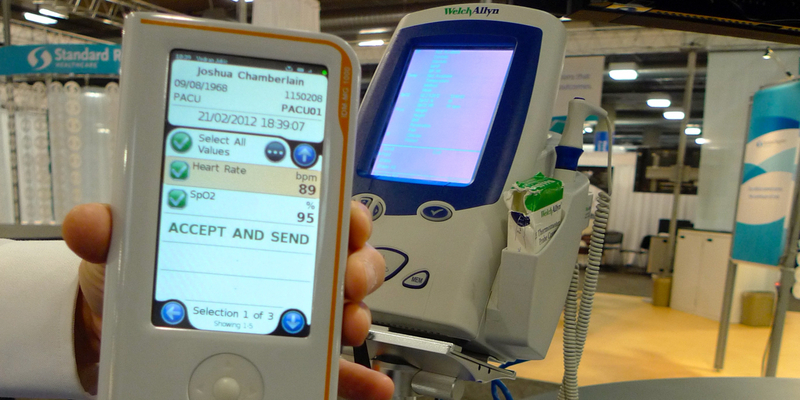 Back in the day, Emergin didn’t do any of their own data acquisition from medical devices. They made customers buy Capsule for that. Of course back then Emergin wasn’t regulated like they are now for alarm notification. Thanks Tim for an always insightful perspective. Understanding hospitals have more options and vendors to choose from in terms of technology and technology providers I can certainly appreciate anyone’s need for objective consulting. We’re honored to be considered. One this we can assure is that we’re always very conscious of customer’s budgets and the constraints they are faced with. We work hard to always be price competitive, yet most important, remain accurate in terms of configuration and assisting our customers in how to be truly successful with our solutions in all the very unique clinical areas they are task with solving MDC problems. Its our overriding philosophy to focus on our customers and their success. With that said, we see a wide variety of small to large customers and deployment types, regardless the size of the customer. So we don’t really sell one type of solution. Most importantly we focus on solving our customers problems around connectivity and that drives what type of implementation it is whether its just in the OR, the ICU or enterprise multi-facility. Finally, its true was have a very strong presence in the market place with over 900 hospitals in the US deploying our solutions. Yet even given with this kind of installed base we’ve seen our KLAS Konfidence rating remain the highest in our category and our customer scores trend better than anyone in our category. Further our customer satisfaction ratings have remaining quite strong and have reached new heights. I’d encourage any customer or hospital evaluating MDC solution to contact KLAS directly to get their view directly. If they are already members, then take the opportunity to look at all the details including the score trends over the past 24 months as well as all the customer commentary for each of the vendors in this category.